Hatakka was the top pair defenceman in Jokerit playing also in penalty kill. He recorded 18,5 minutes of ice time in this game, the second most of his team. He also had three shots. Hatakka shows a lot of promise in the defensive side of the game. He uses his body well already, he has solid gap control and he is above average in defending with stick. He made bad decisions here and there, but overall he played excellent defensive game, especially considering his age. The defender joined the rush occasionally and his passes were crisp and precise. However, I still think his offensive skill-set is the part of his game which holds him back. His stick-handling is very average and the creativity with the puck is also area of improvement. His wheels are pretty good though and I thought both his agility and top speed looked promising. His skating and undeniable defensive talent are promising, and if he is able to step up offensively, he could become really good two-way defenceman when it’s all said and done. Hatakka was captaining Jokerit’s U20 team and playing big minutes in every situation as a top-pairing defenceman. On the power play, he was positioned in front of the net. Hatakka showcased good skating, especially going forward. He has the ability to create a breakout using his feet and I was left hoping he would do it more often. Hatakka’s skating allowed him to join the rush quite often, especially when his team was behind in scoring. His puck-handling ability is somewhat of an area of improvement, as he looked a bit shaky a couple of times with the puck on his stick. Hatakka used solid gap control with his stick to defend against rushes, but his defensive positioning is still a work-in-progress. He did not play overly-physical but did not hesitate to throw his body around when needed. Hatakka played on the top pair for Jokerit, and he was also used on the top PK unit, but he didn’t see any time on the power play. He played a total of 19:05 in the game. Hatakka looks like a reliable defender who can stay calm under pressure. He has pretty good mobility, and he made couple of good hits as well. He was very good on rush defense but otherwise made a couple of defensive mistakes by ending up on the wrong side of the opposing player. On a positive note, he looked like a completely different player at 4-on-4. He was much more active offensively and not afraid to make mistakes. This leads me to believe there might be a bit more we’re not seeing yet from him but he’s trying to play it safe and avoid mistakes. 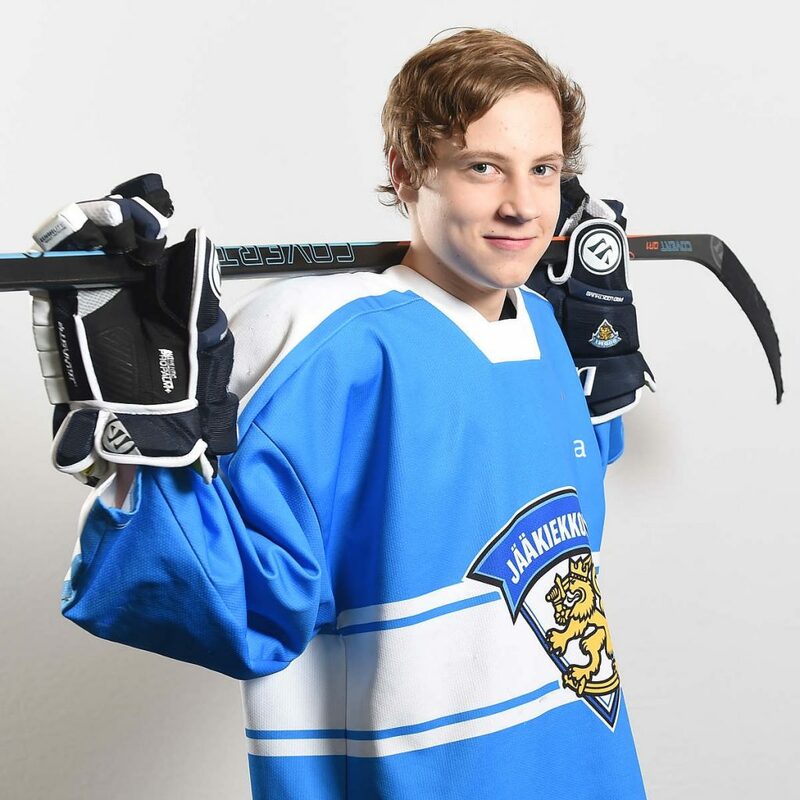 Santeri Hatakka had a pretty solid U17 Five Nations tournament and played in important situations for the Finnish team. His strong play on the penalty kill was particularly notable against Russia, he was really effective with his reads under pressure and cleared the zone several times. Hatakka is a highly competitive defenseman who is not afraid of throwing his weight around in the defensive zone. He possesses really good four-way mobility, with better-than-average agility and footwork. He skates well in all directions and gets around the ice with relative ease. His puck management is an area for considerable improvement. He needs to be more consistent and reliable with the puck, as he can be prone to ill-advised passes in his own end. He also occasionally has trouble to control pucks in tight spaces. Hatakka has a decent point shot, but could improve its power. Hatakka is a steady two-way defenseman with good size at 6’0. He’s reliable and competitive defensively, has good gap control and can keep forwards to the outside efficiently. He has good poise with the puck at both ends and makes crisp long passes. Has a high panic threshold. He’s got strong straight-ahead speed and moves fairly well in all directions. However, he could refine his puck skills a little bit and be more consistent at moving the puck. Hatakka has been impressive for Jokerit U18 as well and projects well for the higher levels.